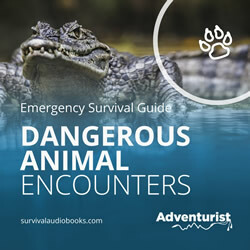 This Dangerous Animal Encounters audiobook lets you know how to avoid and deter dangerous animal attack. Each chapter in this audiobook provides some basic facts, where the animal can be found in the world, how to stop an animal from attacking you and what to do if you do become attacked. Please note this is not a Real-Time Audiobook and should be listened to before traveling in areas known to have dangerous animals. 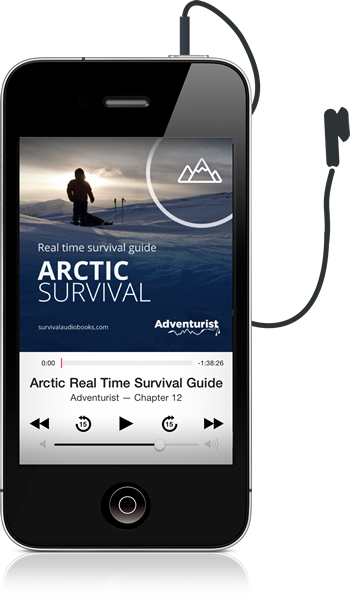 This Arctic Survival Guide audiobook talks you through, step by step, what to do in an emergency or survival situation if you find yourself stuck in an arctic or mountainous environment. How would you stay alive? Covering every key subject area critical to survival. Download to your phone or mobile device. Follow the real-time instructions for fast survival action. If an emergency occurs, play the audiobook and skip to the section you need. Ready to use professional guidance. With you when things go wrong.